From late June to mid-July, Lake Placid is home to two of the nation’s most prestigious equine masterpieces – the Lake Placid and I Love New York Horse Shows, followed by, starting this year, the Adirondack Horse Show. You can watch world class riders and horses vie for over $750,000 in prize money and awards in championship Hunter and Jumper competitions. 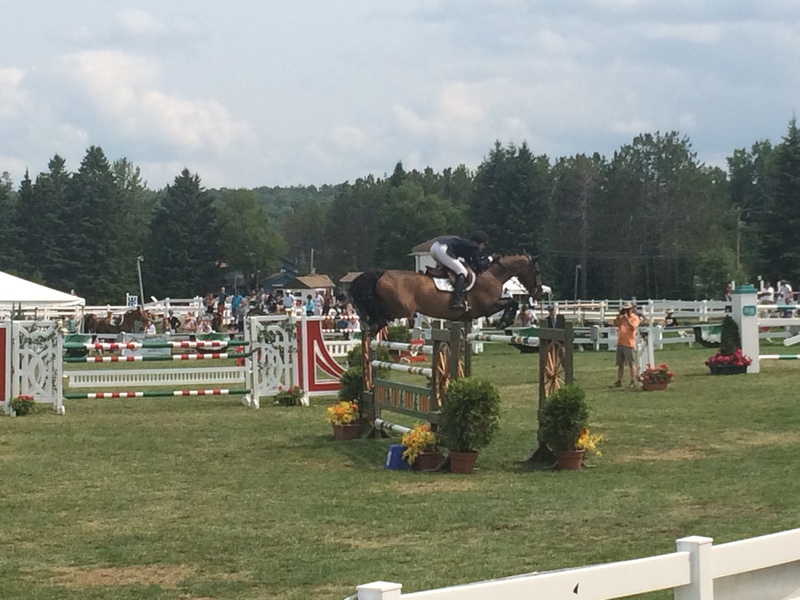 These shows bring more than 1,000 horses to Lake Placid for three weeks. A veritable city of tents is erected early in June in anticipation of the events. The brightly striped tents house the millions of dollars worth of horses their owners bring to these shows annually. A behind the scenes tour of the show grounds allow an insider look at the stalls and tack rooms each farm maintains as ‘home’ for the duration. We attended the finals on Week 2, when Laura Chapot won the $75,000 Great American Grand Prix on July 5th. Her victory capped a phenomenal week which saw her win several classes and came 50 years to the week after her mother Mary, a two-time Olympian, won the first show jumping Grand Prix ever held in the US. Laura was one of four starters to reach the jump-off by riding without penalty over the 16-jump first round course. She was the last to try the eight-jump tiebreaker. When she started, the lead was held by Devin Ryan who had completed the jump-off clean in 42.661 seconds. But Chapot blazed over the course and took the win by finishing clean in 42.214 seconds. Late Jun e, we met some experienced mountain bikers at the High Peaks Cyclery store in Lake Placid. 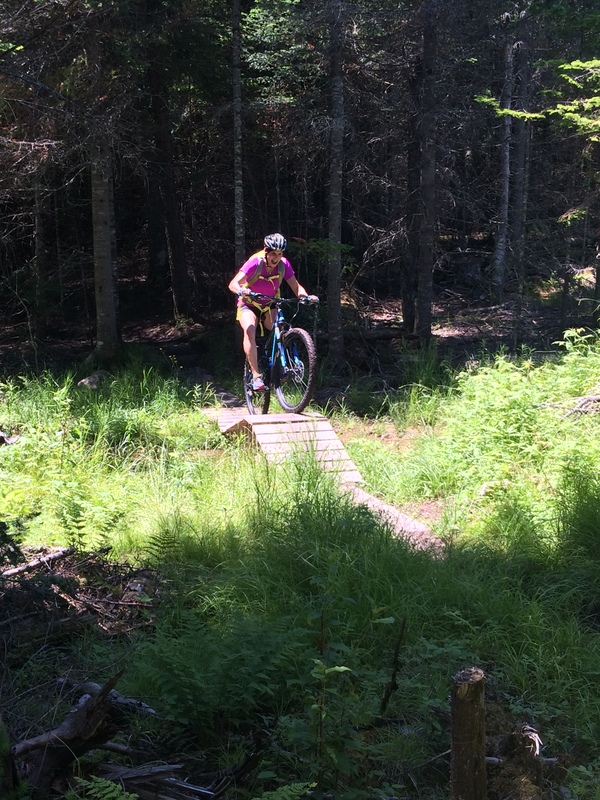 A well-kept secret, mountain biking has developed in the Adirondack High Peaks region, following the efforts of Barkeater Trails Alliance (BETA). BETA is a project of the Adirondack Ski Touring Council, which was founded in 1986 for the purpose of improving and promoting cross country skiing in the Tri-Lakes Area. 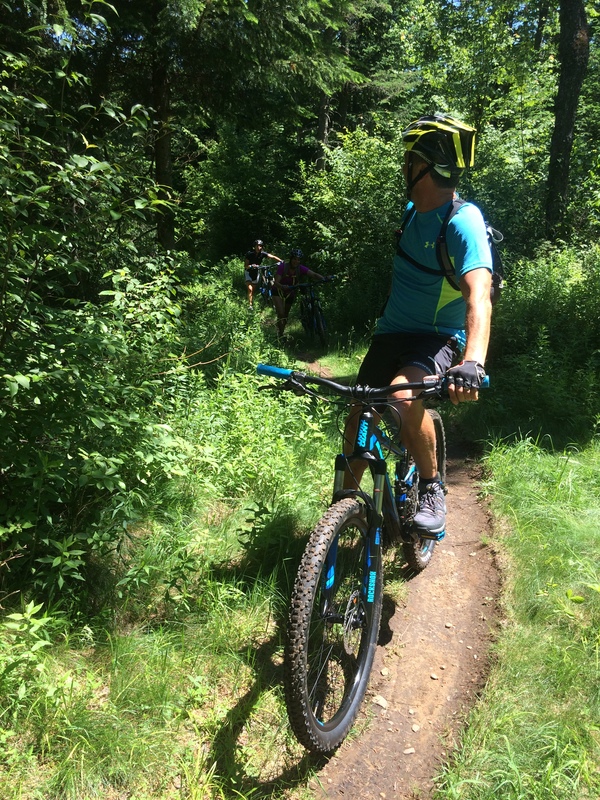 BETA works to develop, maintain and advocate for a diverse, sustainable and interconnected multi-use trail system suitable for mountain bikes in our region. They promote the sport of mountain biking as a healthy and positive activity that compliments the outdoor culture of the Adirondack Park while providing diverse economic benefits for local communities. 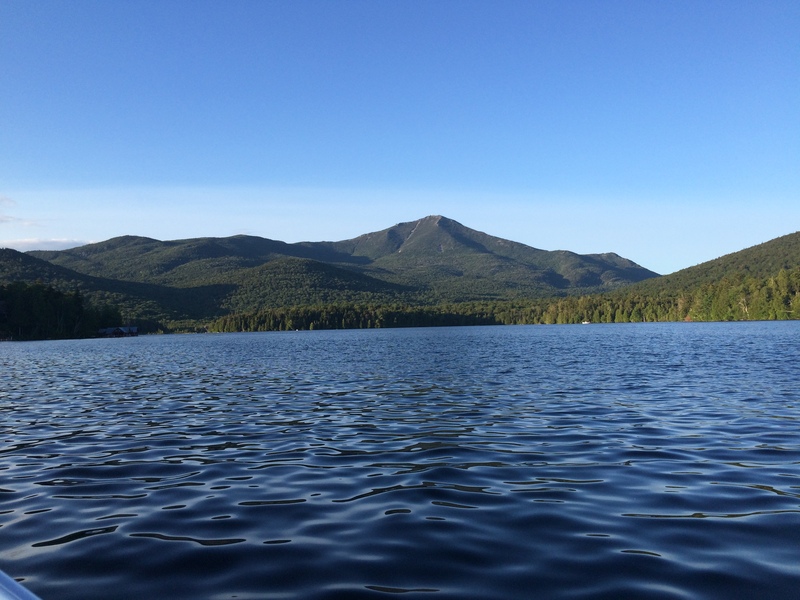 Between Lake Placid, Saranac Lake and Wilmington, there are now many places where to practice, either as a beginner or as an experienced rider. For more, visit here. Since we are only beginners, our High Peaks Cyclery contacts recommended we start around the Lake Placid Golf Course. 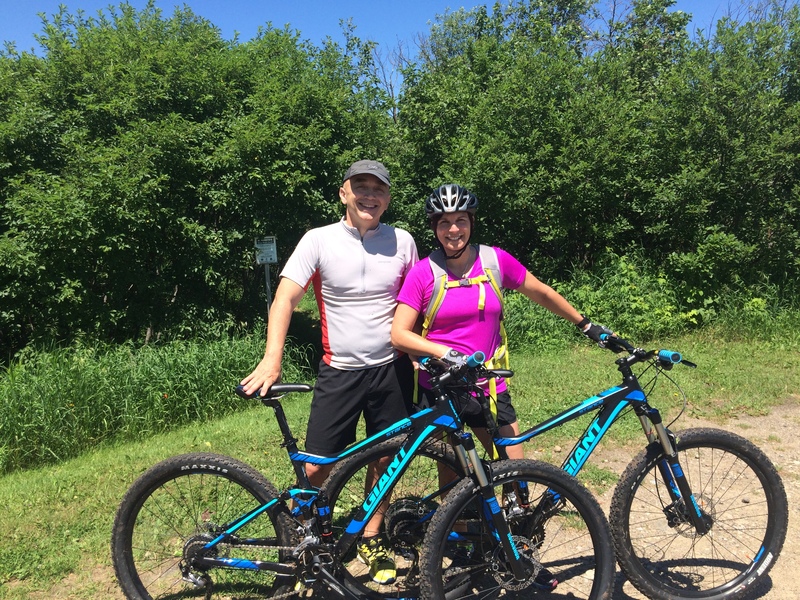 With everything from rolling backcountry dirt roads to singletrack to downhill-specific trails, we found everything we wanted, including the connection to the Jack Rabbit trail, which also connects to another mountain-bike trail, just developed at Craig’s Wood Golf course. The mountain biking culture in Lake Placid and the surrounding area is growing exponentially each year. Make the trip to see it for yourself! 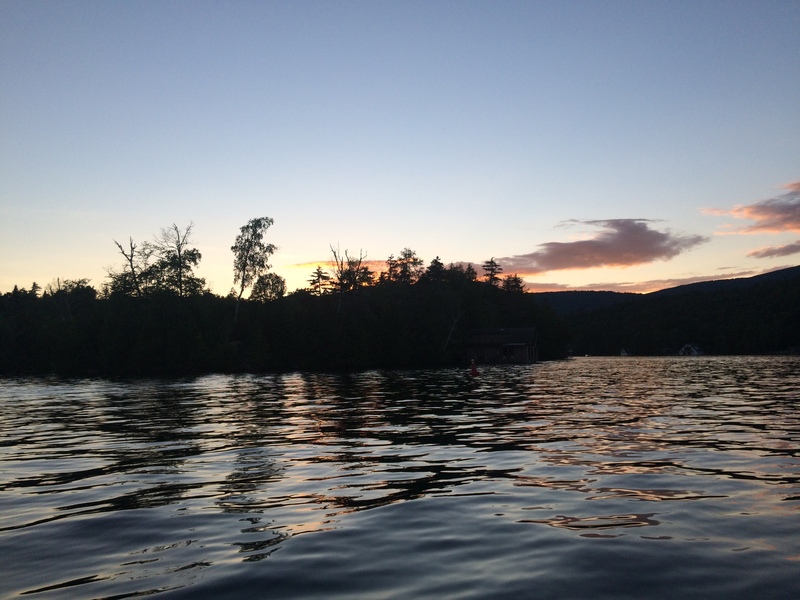 What can be better than spending a summer evening in a boat on Lake Placid, among friends sharing great cheese and wine? 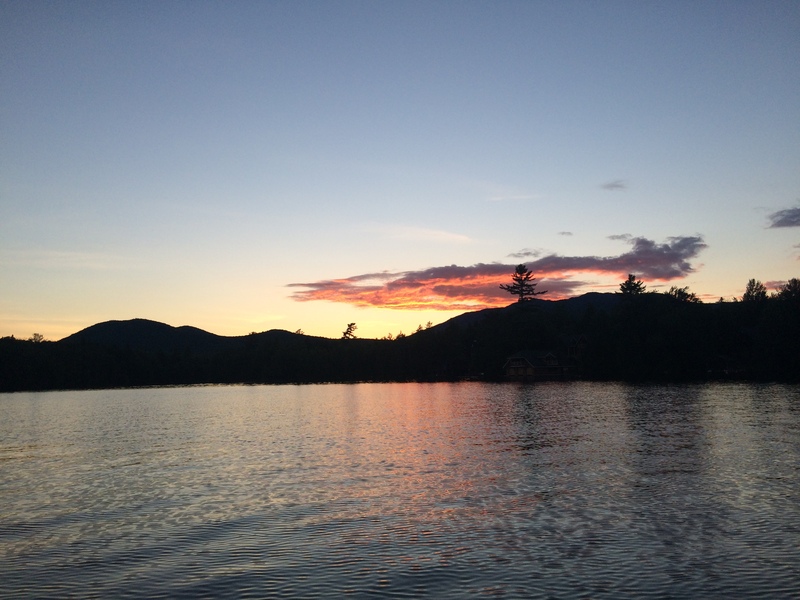 Stunning clear view of Whiteface, fantastic sunset and orange sky above the McKenzie range… Who’s got it better than us? Nooobody!